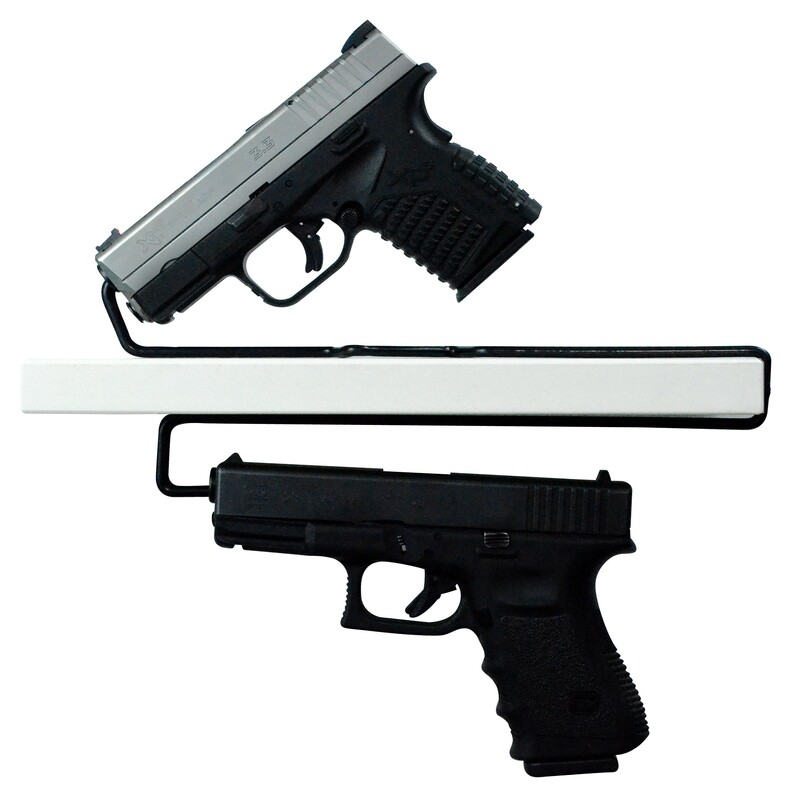 Racks allows you store 1 gun under the shelf and 1 gun over the shelf. Fits caliber .22 and up handguns. Racks allows you store 1 gun under the shelf and 1 gun over the shelf. Coated in black vinyl to prevent scratching of pistol and prevent rusting of rack.